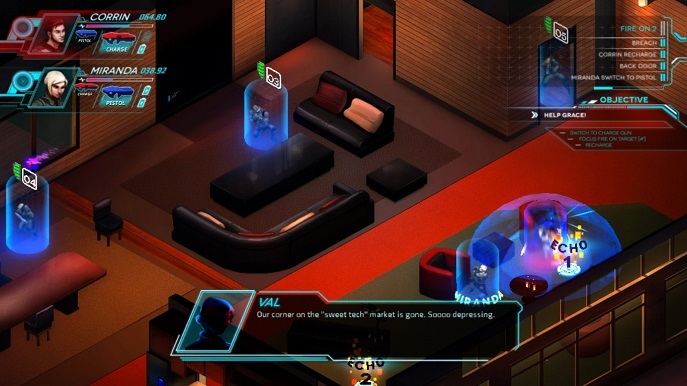 There Came an Echo is a futuristic voice-controlled real time strategy game, developed by Iridium Studios. You play as Sam (yourself) as the commander, and you must help Corrin, a brilliant cryptographer, to solve a deadly mystery that involves the use of his software on unthinkable high-tech hardware. The game has a remarkable voice acting cast featuring Wil Wheaton, Laura Bailey, Ashley Burch and more. Your objective is to help characters move through the map and fight their way by giving them vocal commands. You have your guide, Val, telling you which specific commands will work, the character’s response might be scripted but they are usually clever. 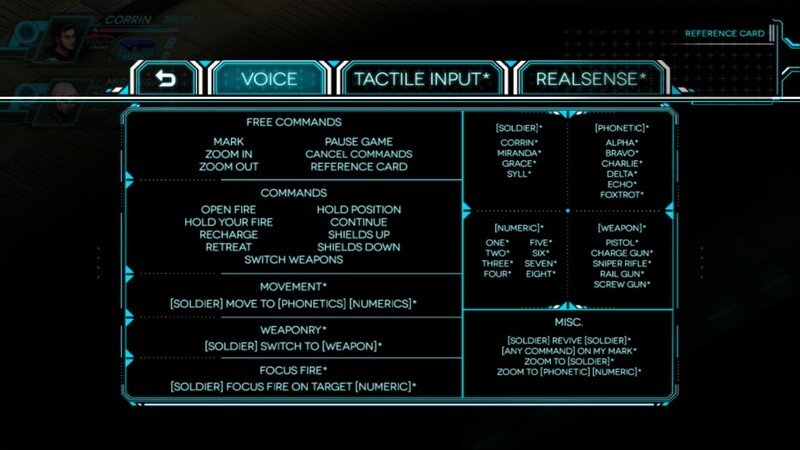 Some of the commands can be said in different ways, you can change them to different words or custom words in the Command Alias menu (make sure to avoid words with phonetic similarities or the game won’t recognize them easily). In occasions, you will have enough time to practice your vocalization and say a command perfectly; on the other hand, you will need to say one during a slow-motion scene before you get your guy caught or in the middle of a gun fight. The only possible gameplay issue is probably the most obvious; calibrating your mic allows you to manage the gain input and mic sensitivity, which works if you don’t have a top of the line AKG mic and just want to use your headset mic, however, if you don’t have one and have to depend on your computer or laptop’s built in mic, you will most likely encounter issues due to background noise (these include your laptop’s fan and your surroundings), I would not recommend the use of the built in mic for its low fidelity. Fortunately, for players who do not have separate mics and are having trouble using the previously mentioned, they can right-click on the screen during gameplay and click on the command without having to speak a word. There Came an Echo includes many voice recognition packs, mostly for English accents, this solves the clear problem of word pronunciation which most voice command games lack, so here’s another plus! Not to mention, usually you find games with in-game voice recognition to make gameplay somewhat easier, but in There Came an Echo voice is introduced as part of the plot, you’re not a robot who tells what to do, you can more or less interact during cutscenes and helps make the narrative a bit more personal and fluid. Your squad has the ability to use several weapons as well as having a shield that requires energy. When your characters take fire their shield will take damage, “take cover” to reduce the damage input or “hold your fire”, in any circumstance you can also “retreat” or “revive” if a teammate got shot down. Before any mission, Val will help you by giving you hints on how to use new equipment. These vary on different weapon types, such as pistols for regular damage, snipers for long range super damage when not being attacked, rail guns that hit for a lot but consume energy, screw guns that will be suppressing enemy fire, and more. 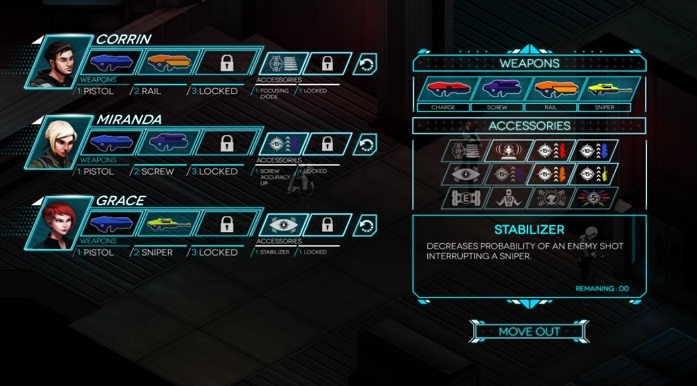 Each character on your team has a loadout that you can customize depending on what role you want him/her to be; you can add upgrades for specific weapon types that will improve accuracy or energy consumptions, or simply add overall upgrades that will help on survivability. Once you are ready, you can head out to the mission. Level designs are interesting as they are based usually on infiltration; like most strategy games, there are places to take cover. As the commander, you can split or group your team to different places with assigned names like Alpha, Bravo, Charlie, Delta, Echo, or Foxtrot. Later on, you can make them all focus fire on stronger targets until you beat them all. Sometimes it can get difficult to order your thoughts and organize your strategy and sometimes the game won’t recognize your command and make you repeat yourself more than twice, this can turn to be annoying and force you to use the right-click commands instead. However when it catches on it can make gameplay quite fun. 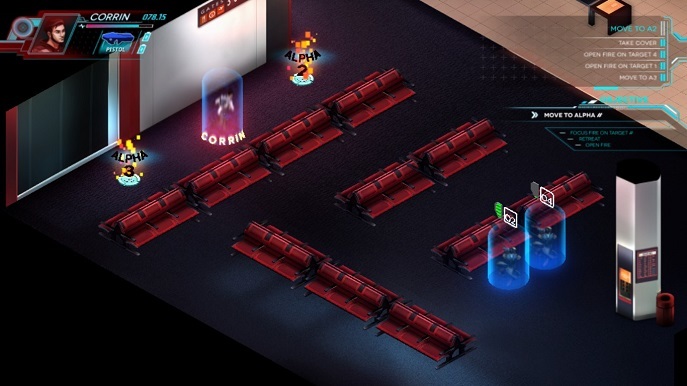 The game’s design is based on a sci-fi color palette, detailed illustrations and an isometric perspective for levels. 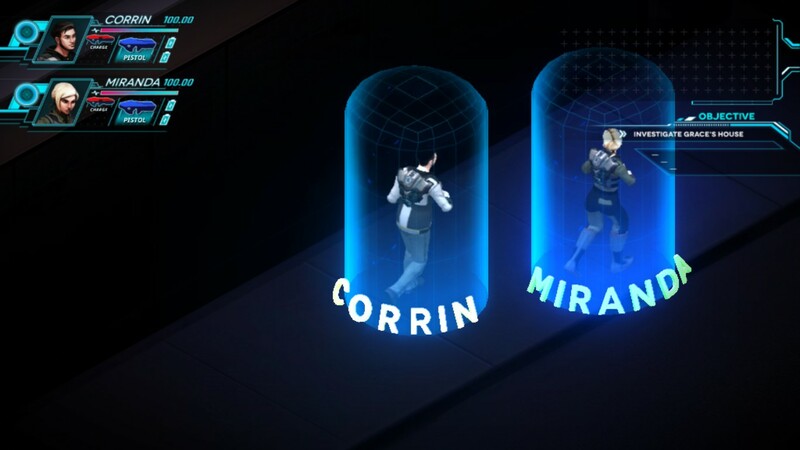 Playable characters are 3D models and menus have a Tron feel to them. 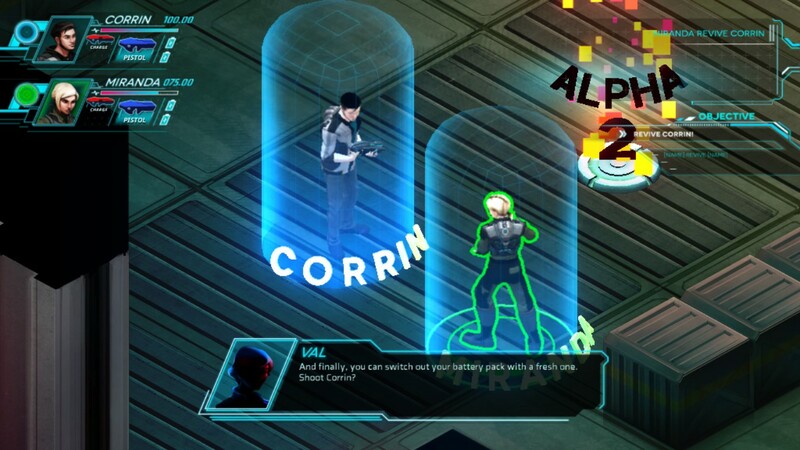 The UI shows the character portrait with their dialogue lines, not to mention that you can also see your commands log and right below is a mic volume meter which helps you verify if you’re talking at the right volume (then of course Val can help you if you’re too quite or too loud). Of course the game has an electronic beat to it, most is well mixed and balanced to the stereo perspective. Dialogues are clean but could use some environment simulation as all characters don’t really sound where they are, but as if they are all inside a recording studio. I’m not sure if this is intentional, but sometimes the music picks up at calm moments which make scenes a bit awkward. There Came an Echo is innovative in the sense of immersion between you and the story. Putting aside the technical issues that to be honest are not quite easy to solve, the gameplay can show to be fun, clever and fluid. - The voice commands system can prove to be unreliable at times, causing distress during missions and breaking the experience.